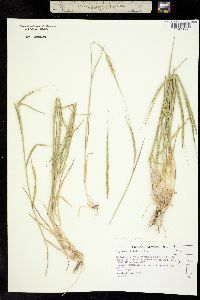 Culms 14-50 cm, erect to decumbent at the base, usually with many tillers. Sheaths with hyaline margins, sometimes ciliate; blades 3-15 cm long, 2-5 mm wide. 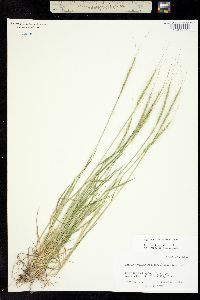 Spikes 2.2-12 cm long, about 0.3 cm wide, narrowly cylindrical, 10-45 times longer than wide, with (2)3-8(12) fertile spikelets; rudimentary spikelets absent or 1-2; disarticulation initially at the base of the spikes and secondarily in the rachises, the spikelets remaining attached to the internodes above. Spikelets 9-12 mm, narrowly cylindrical, scabrous or pubescent, all fertile, with 3-5 florets, lower (1)2-3 florets fertile. 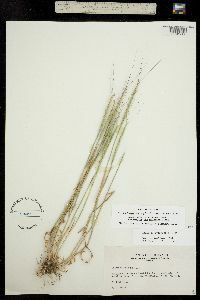 Glumes of lower spikelets awned, awns 0.2-0.5 cm; glumes of apical spikelets 7-9 mm, scabrid, apices with a 3-6 cm awn usually flanked by 2 lateral teeth; lemmas of lower spikelets 9-10 mm, adaxial surfaces velutinous distally, apices mucronate or awned, awns 0.1-0.5 cm; lemmas of apical spikelets 1-awned, awns 4-8 cm, flanked by 2 teeth. Caryopses 6-7 mm, adhering to the lemmas and paleas. Haplomes DC. 2n = 28. 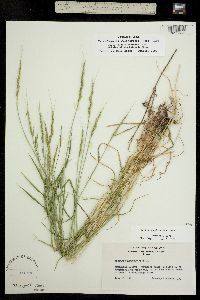 Aegilops cylindrica is a widespread weed in North America, being particularly troublesome in winter wheat. 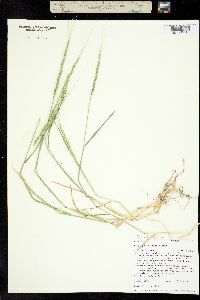 It usually grows in disturbed sites such as roadsides, fields, and along railroad tracks. 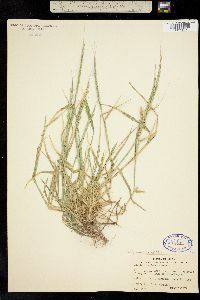 It is native to the Mediterranean region and central Asia, and is adventive in other temperate countries. 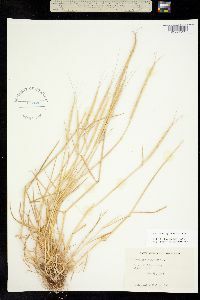 Hybrids with Triticum aestivum have been found in various parts of North America. Being sterile annuals, they do not persist but may significantly reduce the value of the crop. Tufted winter annual, 3-7 dm, decumbent at base; lvs 1-5 mm wide; ligule short; spikes 7-18 cm, 5 mm thick, disarticulating at the nodes when mature; glumes 7-10 mm, asymmetrical, unequally 9-13-veined, mostly bearing one long awn and one short awn or tooth, lemmas 8-11 mm, asymmetrical, 5-veined, those of the upper (usually sterile) spikelets with an awn to 10 cm, those of the lower with progressively shorter awns or none; 2n=28. 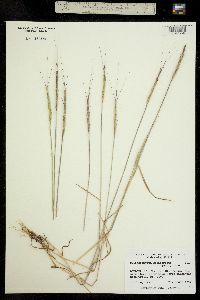 Native of s. Europe and w. Asia, established and becoming a noxious weed in wheat-fields in w. U.S., e. less commonly along roadsides and in other disturbed habitats to Mich., Ind., and even N.Y. Hybridizes with wheat. 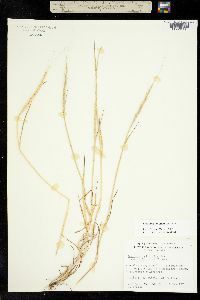 (Cylindropyrum c.) A. ovata L., an e. Mediterranean sp. 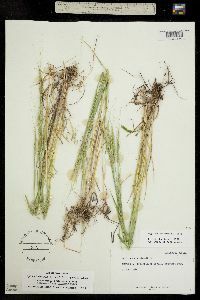 with short, ovoid spikes bearing 2-5 spikelets, the glumes each with 4 long awns, is reported to be established as a weed in Va.